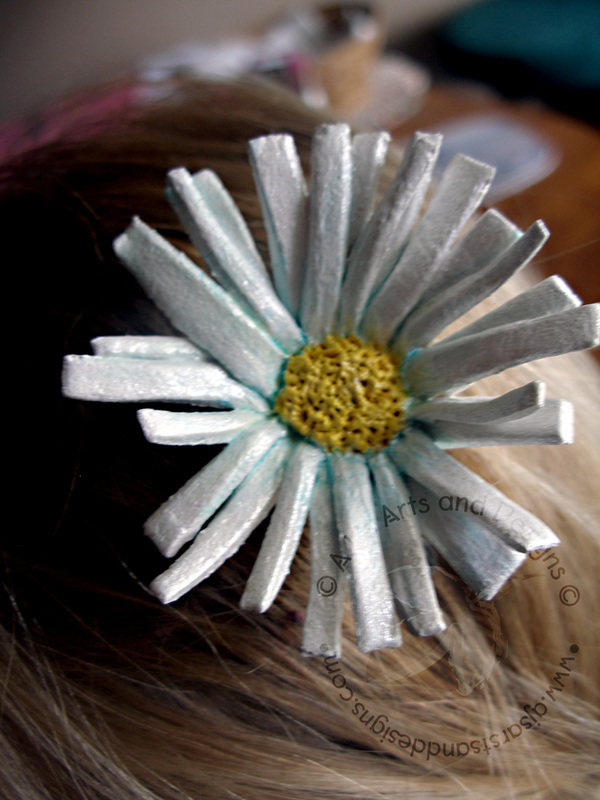 Daisy Hair Comb – Paperclay | Who Are You Calling Crafty? 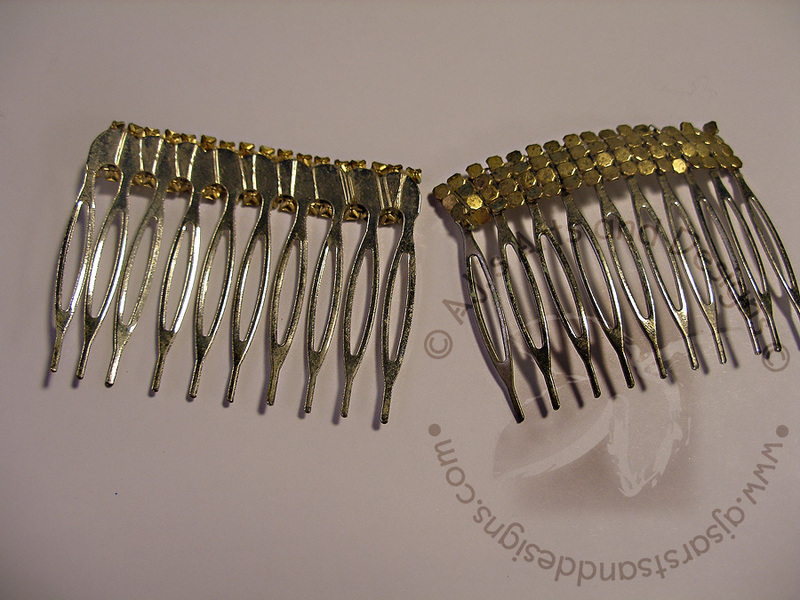 Many of you remember my Poppy Hair comb from the last project I did. I really wanted to do a daisy for this project. 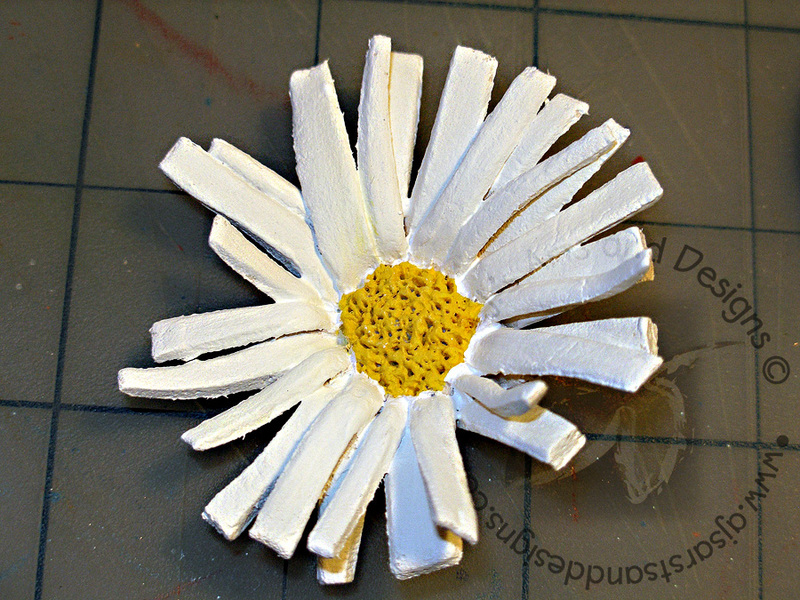 Shasta Daisies are my favorite flowers and I really wanted to make a daisy hair comb. 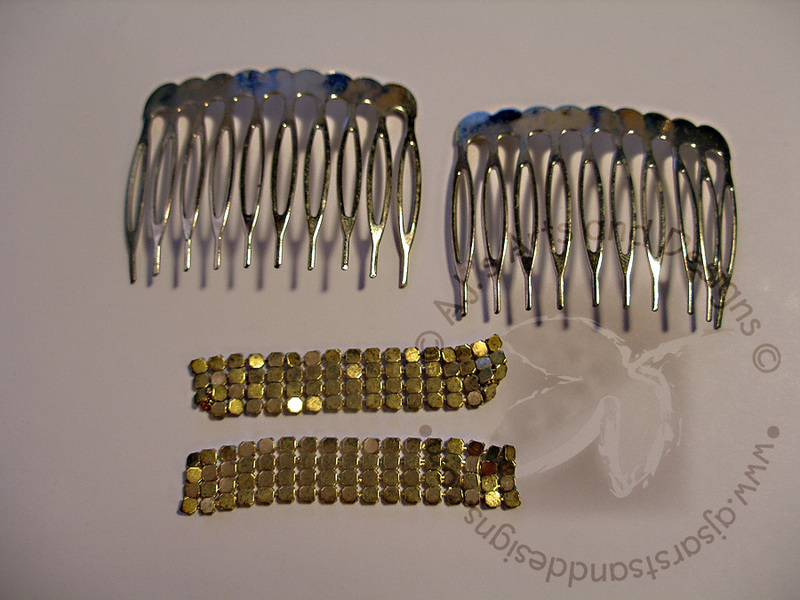 Since the technique is very different than the poppy hair comb I thought it would be acceptable. 1. Roll out a 2″ snake. 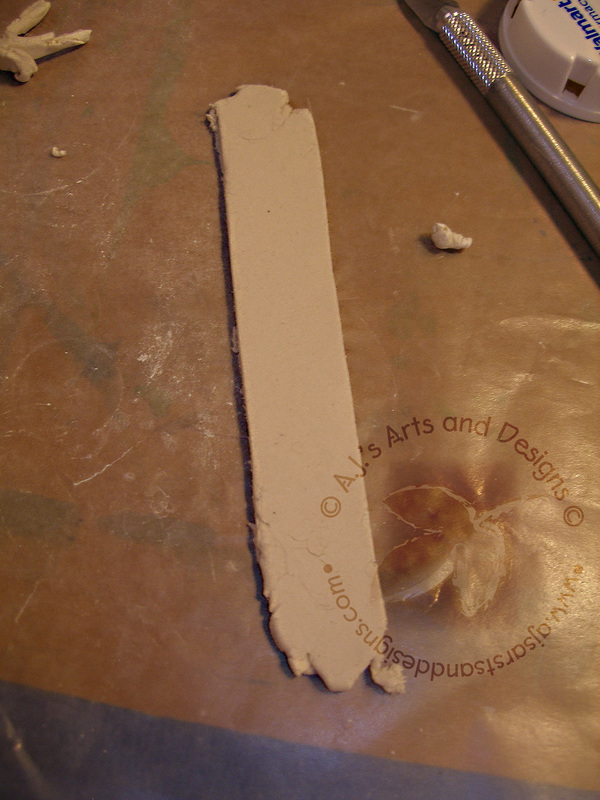 Flatten it with a rolling pin. Take sculpting tool or scissors and create a rectangle. 2. 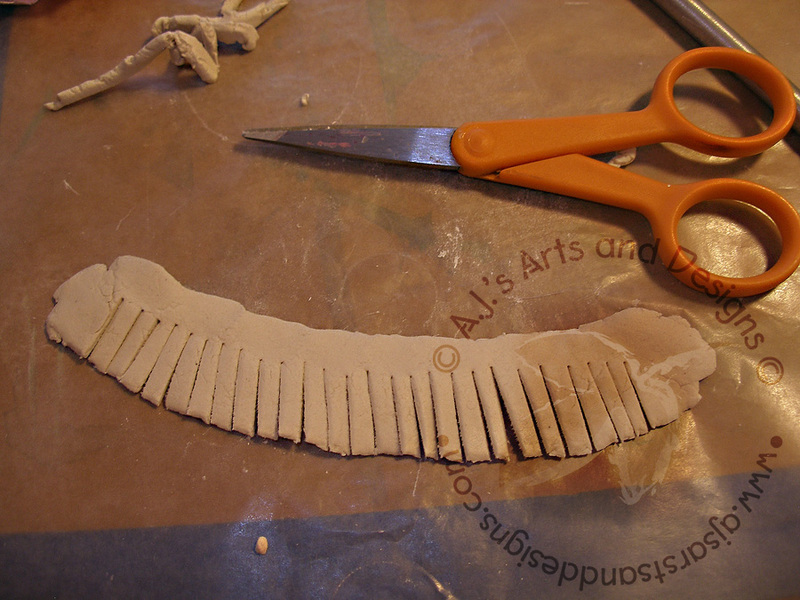 Cut fringes down the length of clay with scissors leaving about a 1/4″ at the bottom. 3. 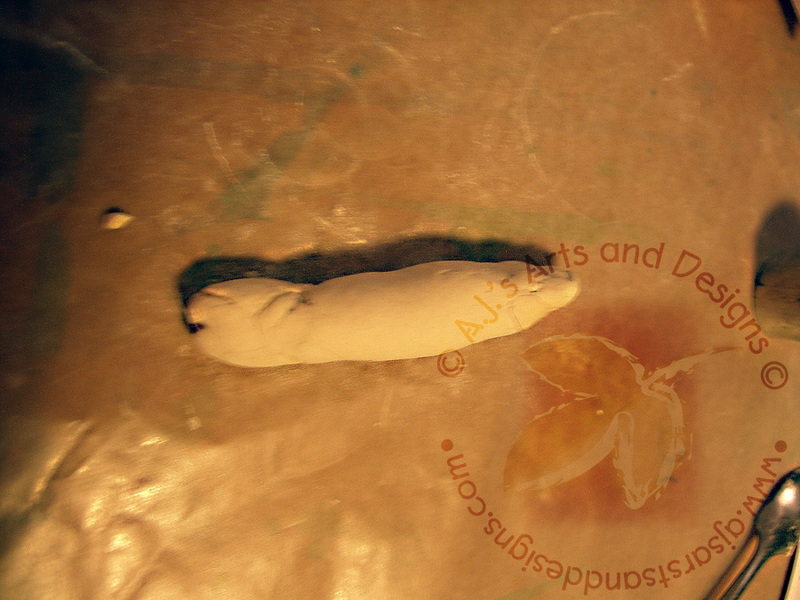 Take another piece of clay about 1/2″ wide. 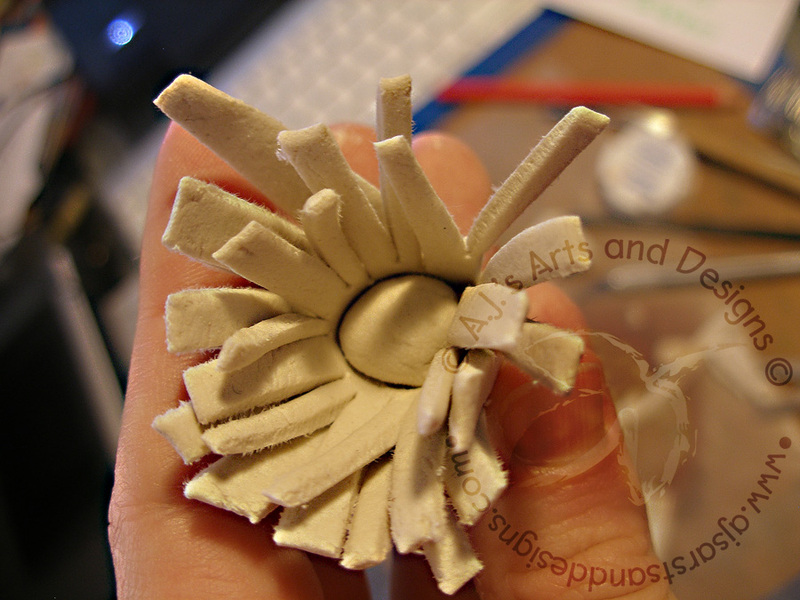 This will be the center of the flower. 4. 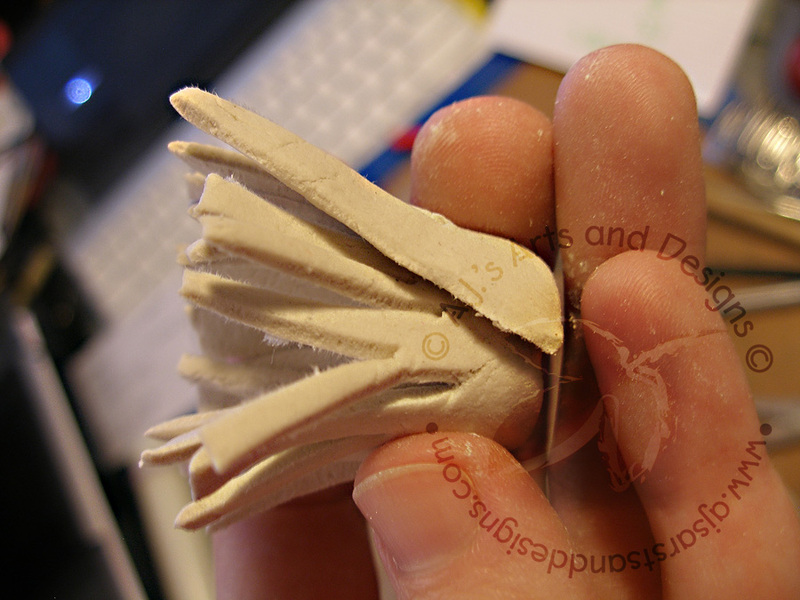 Spread water along the edge of the fringe Wrap the fringe around the ball smoothing the bottom as you go. 5. Spread flower petals out. Let dry for 24 hours. 6. Paint and seal flower. 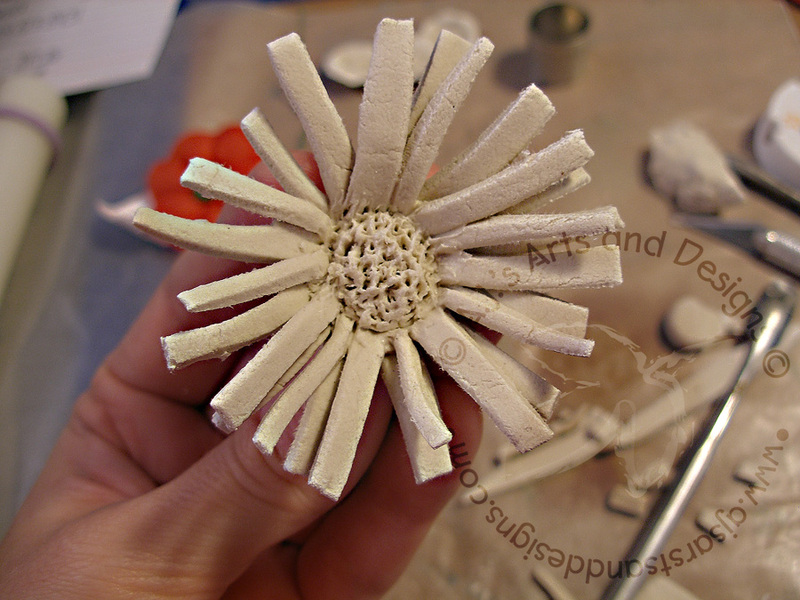 Hot Glue flower to comb.